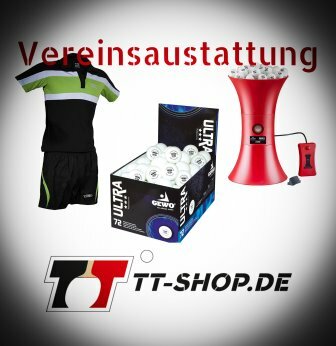 You want to inform yourself regarding table tennis balls or maybe you want to buy some balls for your club? Please, take some time to get familiar with the different brands and articles, including important information and details. We wish you lots of fun whilst reading through our extensive advisor regarding table tennis balls! 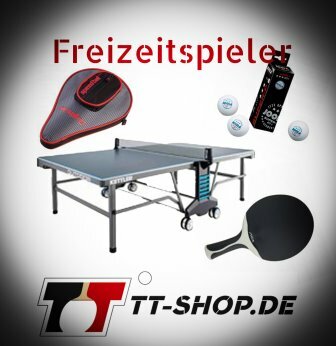 Table tennis purchase advice - Plastic or celluloid? 1. Table tennis purchase advice - Plastic or Celluloid? If you want to purchase table tennis balls, you should inform yourself thoroughly before doing so. The differences are just huge, and especially table tennis clubs should invest some time to do some research. This makes it way easier to decide what kind of TT ball to buy. You can still order celluloid table tennis balls. However, these are not produced anymore. Hence, all almost all of the celluloid balls you see in offers are sales stemming from reduced remaining stocks. Beginning in 2019, the new plastic ball will be mandatory in all leagues, one has to use this ball! Prior to that date, each club may still decide by its own whether to use plastic balls, or celluloid balls stemming from remainders. The confusion caused by the introduction of the plastic balls could not be bigger. Every brand puts new balls on the market. Some of them have the reputation to fall apart very quickly, others are just too expensive. Often, table tennis clubs do not know what brand and type to use. We would like to clear up this confusion. To do so, we created an information page regarding plastic balls which makes it easier for you to make a choice. Just follow the link to our plastic ball advisor. Many recreational and hobby players simply do not care much about whether to play with plastic or celluloid balls. The main criteria is probably the price whilst exhibiting good properties. Particularly for outdoor players, we recommend special balls with an increased weight. Such special table tennis balls are less prone to disturbances like wind. Additionally, there are also so called fun and spin balls for kids and adolescents. These can be found in our category table tennis balls for hobby and recreation. Yet when reading the word table tennis ball you can possibly hear the typical click-sound when the ball hits the table or the bat. And maybe you even feel the desire to play table tennis right away. One thing is certain: No ball, no table tennis. The table tennis ball, as a representative of plastics, has a very long-lasting history, with its roots based in the plastics industry. The plastics industry reaches even further back into the past. Today, TT balls must comply with concrete requirements in order to be approved for the gaming. This is especially true for material requirements, also because the well established celluloid balls will be/are discarded. With this article we want to provide you important information regarding the topic table tennis balls. Keep reading, it is worth it! Before we get back to our little white friends -the table tennis balls- it would be interesting to know what material they are made of. This material is not only used for table tennis balls, but also for many other things we use in our daily lives: Mobiles, toothbrushes, computers, building materials, packaging materials, and so on. Plastics are made of so called macromolecules. Molecules are chemical particles which stick together by means of chemical bonds. Macromolecules are very large molecules (macro means large), which contain basic building blocks, repeating themselves over and over again. Plastics are synthetically produced macromolecules. Their basic building blocks mainly contain hydrogen and carbon, but also other elements such as nitrogen or chlorine. Thermoplastics: Also thermoplastics consist of very long macromolecules. They are made by forming them based on a molten mass, which will be brought into the final form by different forming technologies. Finally, they will cool down and set, hence keeping their form. Thermoplastics can be melted over and over again when applying heat. This is called reversible (meltable over and over again), caused by the linear and filamentous arrangement of the macromolecules. The use of thermoplastics is very broad and common. They are used as normal packaging materials, or as parts in the automobile, electro, and construction industry. For example, table tennis balls, but also plastic bags and yoghurt cups are made of thermoplastics. Polyethylene, polypropylene, polystyrene, or polyester are very common forms. Thermosetting plastics (thermosets): Thermosets are also made based on a molten mass (or solution) of the corresponding components. However, a cross-linking reaction takes place. Also, thermosets keep their shape and form after cooling, however, they are often harder and more brittle compared to thermoplastics. Furthermore, thermosetting plastics are not meltable when applying heat, they keep being solid and are not deformable anymore (not reversible). These are the main differences between thermosets and thermoplastics: The macromolecules of the thermosets are more intensively linked and connected with each other. Thermosetting plastics are commonly used in the electro industry (e.g. electrical installations), but they are also used as coatings, synthetic resin, and other surface coatings. One large and common group of thermosets are so called phenol(ic) resins. Elastomers: Elastomers are also know as rubbers. These macromolecules are linked with each other in a very wide-meshed manner, making them very deformable when external forces are applied (even without the presence of heat treatments). After the deformation, they almost completely "go back" into their original form, exhibiting relatively little hysteresis. Elastomers are basically made of rubber (caoutchouc) by chemically cross-linking it. The cross-linking occurs due to a vulcanization reaction with various other elements. Elastomers are commonly used in the tire industry and as rubber articles (e.g. rubber gloves, elastic bands, rubber rings, ...). Groups of elastomers are, for example, natural rubber, styrene-butadiene rubber (SBR), chloroprene rubber (CR), and many more. In our daily lives, thermoplastics and thermosets are having the most common application. Plastics also have a very long history. You don´t believe how early human beings dealt with plastics! 2.2 The development of the plastics industry - Not only table tennis balls were produced! The development of the plastics industry is a very large sector, with its origin many, many decades in the past. Believe it or not, several hundred years ago (when there were no table tennis balls), mankind already dealt with rubbers. Many developments and inventions are linked to the plastics industry. For more information, just keep reading! Hard to believe, but the development of the plastics industry reaches back to the prehistoric men, many thousands of years ago! Birch trees provided the sought-after commodity. In detail, the bark of the trees was heated in an air-tight container. This process resulted in the extraction of birch tar, which resulted in birch pitch after some hours. Birch pitch was a universal glue during the Stone Age, and was used for tools, weapons, knives, and so on. Also, certain resins were used back then, such as amber and natural asphalt. These were materials utilized for decorative objects, glue, or to seal containers or jars. During the 17th and 18th century, natural rubber was recovered from other trees, such as the rubber tree. At the beginning, the liquid from the rubber tree was mixed with liquids from other trees and plants, resulting in an elastic, rubber-like material. It was not until the 19th century when Charles Goodyear discovered the process of vulcanization, enabling to transform natural rubber in an elastic rubber. During the vulcanization process, sulfur and other fillers are added to the natural rubber, and this mixture will be heated. By doing so, sulfur bridges emerge, causing the permanently elastic, rubber-like properties. These elastomers are nowadays used as rubber gloves, for example. More or less in the middle of the 19th century, Goodyear also discovered the so called hard rubber, which was initially sold as ebonite. For example, decoration articles, piano keys, and telephone parts were made of ebonite. This material was the first thermoset. The first industrially and mass-produced thermoset was Bakelite, used as electrical insulator. Celluloid (known as conventional balls), linoleum (linoleum floors or table surfaces), or artificial horn (used as knobs, receiver cabinets, ...) were all invented in the 19th century. The well-known silicone was invented in 1901, however, an inexpensive production was not developed until the middle of the 20th century (in the USA and Germany). Polyester fibers, as used in textiles, or epoxy resin (used as glue) were invented just before the middle of the 20th century. During the following years until today, predominantly thermoplastics (percentage of thermosets decreases) are used. This is because thermoplastics are more and more effectively produced, including advances regarding sophisticated manufacturing and processing methods. So the whole process is more and more inexpensive, highly variable, and almost all kinds of parts, geometrics, and shapes can be produced. This still shapes and impacts the plastics industry considerably, making it a powerful economic sector. But now, let´s get back to our actual topic - table tennis balls. For this, we first discuss about the celluloid ball, and afterwards we´ll talk about the new plastic balls which will replace the former. Almost everybody knows the typical sound of a celluloid ball. The plastic "celluloid" is not only used for table tennis balls: For example, celluloid balls are also used in the German lottery, or to simulate avalanches. The manufacturing of table tennis balls requires strict guidelines. And also the material used has to follow these controls. Note that all official competitions and tournaments held by the ITTF (International Table Tennis Federation) must be conducted using the new plastic balls. The "good old" celluloid ball is/will not be permitted anymore. We will come back to this topic later. Celluloid is a plastic compound corresponding to thermoplastics. Celluloid was invented in the middle of the 19th century, and is (or was) used in different articles, such as table tennis balls, combs, handles of knives, glasses frames, or many toys. However, celluloid is easily flammable and may produce much smoke when the flame formation is suppressed. For these reasons, other, less dangerous/sensitive plastics are now used. At the end of the 19th century, celluloid table tennis balls were brought from the U.S. to Europe. Before that time, table tennis balls made of rubber or cork were common, exhibiting a diameter of approx. 5 cm (approx. 1.97 in). The basic material (celluloid) is first present as a thin layer, which is then molded via deep-drawing into two semi-open (hollow) spheres, at a temperature of approx. 100°C. After this, both hollow spheres will be aligned in such a way that they are round (one single hollow sphere). The contact areas will be glued using acetone, which is a solvent. Afterwards, this glue line will be made plane and even, and the raw ball will be inflated using warmth until the required diameter is reached. Pumice powder (flour made of volcanic rock) works in order to adjust the mass of the ball. After the production process, several other tests regarding hardness, roundness etc. will be conducted. Celluloid table tennis balls must also be stored for a certain time prior to sale. This is important to remove solvent residues, since those are hazardous to the health. A table tennis ball must withstand many things. When hitting the ball very hard, it reaches a speed of up to 180 km/h (approx. 112 mph), deforms up to 25%, and rotates up to 150 times per second (when doing topspin or backspin). So in a match, the ball must not fall apart and it is not supposed to change its properties. To guarantee these issues, there are different guidelines and norms. The weight (mass) of the ball must be 2.7 g (0.005952 lb), whereas it may vary between 2.67 (0.005886 lb) and 2.77 g (0.006107 lb). The table tennis ball consists of celluloid or a similar plastic, and is of matt white or matt orange color. The table tennis ball must be completely round, exhibiting a diameter of 40 mm (1.575 in). In the past, however, there were lots of changes: Until 2000, celluloid table tennis balls were used which had a diameter of 38 mm (1.496 in). Since 2000, the production was changed and balls exhibited a diameter of 40 mm (1.575 in). For both versions, there were and still are clear rules: Table tennis balls with a diameter of 38 mm had a mass of 2.5 g (0,005512 lb). Another test procedure required that a ball has to jump somewhere between 23.5 and 25.5 cm (0.925 - 1.004 in) after dropping it from a height of 30.5 cm (1.201 in) onto a block of steel. If it did not jump off somewhere between 23.5 and 25.5 cm (vertically), the ball did not get an approval. Table tennis balls exhibiting a diameter of 40 mm had a mass of 2.7 g. The same testing procedure for these balls was designed in such a way that it was more practical. Balls were dropped from a height of 30 cm (1.181 in) onto a table tennis table, and they had to vertically jump 23 cm (0.906 in) in height. The intention to introduce larger table tennis balls (diameter 40 mm) was it to make table tennis slower and, hence, more attractive to the public. However, this did not completely succeed: The rubber and blade industry reacted and developed faster materials, so that the effect of slower balls was more or less compensated. Generally, balls are classified into balls for competitions and tournaments, and into balls for training purposes. The former ones exhibit a superior and more constant quality regarding their properties. The latter ones have slightly larger tolerances regarding roundness, weight, or hardness. In order to be able to make objective statements, table tennis balls are tested since the early 2000s: A certain amount of balls is randomly chosen and controlled in terms of color, weight, roundness, hardness, etc. But what is the reason that the era of celluloid balls is over? We would like to explain this to you in the following sections. Also, we want to provide a test report based on the new plastic balls. One significant reason is that celluloid is easily flammable, making celluloid balls potentially dangerous. Heat sources like the sun leads to an elongation and extension of the material, possibly leading to explosions. You think this is a joke or that we exaggerate? Well, this is what happened in Hongkong in 2001. Approximately 500,000 celluloid balls "exploded". Another reason is that the manufacturing processes are hazardous to health, and transporting these balls requires a special packaging. This causes extra costs, since celluloid balls are classified as dangerous goods. Not only such ecological reasons are present. The acetone used to stick together both hollow spheres is also dangerous to your health. For those reasons, in 2011 the ITTF (International Table Tennis Federation) and the German Table Tennis Association (DTTB) decided to introduce a new table tennis plastic ball after the 2012 Olympic Games. This plastic ball was approved and licensed in 2014. Internationally and in higher leagues (e.g. 1st and 2nd German national league (Bundesliga)), only the new plastic ball was allowed for official competitions. This is mandatory, and also affects lower leagues now. Note that in 2019, the new plastic balls will be mandatory everywhere! Now it is official: Since July 2014, the new rule requires to use plastic balls instead of celluloid balls (which, by the way, were present in table tennis since 1926). Alternatively, the new plastic balls are also named poly balls. Since its tolerance regarding the diameter also slightly increased (40.6 mm, = approx. 1.598 in), these balls are also called poly ball 40+. As mentioned above, previous celluloid table tennis balls had a diameter of 40 mm, and before 2000, their diameter was only 38 mm. What are the differences between the new and old table tennis balls? We will tell you now! There are definitely differences between the new plastic and the old celluloid table tennis balls. These differences already start in terms of the sound: The poly ball sounds duller and darker, almost like a broken celluloid ball. Also, the poly ball is made out of one single piece, and not based on two separate hollow spheres which are glued together (as this was the case for celluloid balls). Consequently, there is no seam which was suspected to induce an erroneous jump behavior from time to time. The plastic balls exhibit an increased jump behavior, whereas height and speed are not as dependent on the amount of ball spin as this was the case considering celluloid balls. Yet in the past (1980s), several tests were performed using plastic balls. However, after some time, their surface became smoother, and the flight behavior had changed. This was the reason as to why a technology company was commissioned to do a field study using real players and plastic balls. The head of the research team, Konrad Tiefenbacher, said: "This study still does not provide a complete picture yet, it is more appropriate to consider this study a snapshot and initial study. [...] The plastic ball is larger and is judged to be harder by the players. Automated (mechanical) testing, however, revealed that it is softer. The degree of hardness and dynamics are two different worlds." (translated from German) It seems that you´ll have to find out for yourself (in a subjective way!) whether or not the gaming characteristics are similar or better compared to the old celluloid balls. According to the manufacturers, the gaming properties of the new plastic balls are not worse. But what do actual test reports and gaming experiences say? The first thing that really stands out is the changed sound. The new plastic balls do not have the typical "celluloid sound", but they sound somewhat duller. One really has to get used to this. Another thing related to this is that broken plastic balls cannot be identified as easily as it was the case using the old celluloid balls. Furthermore, the jump behavior is different since plastic balls are less elastic compared to the celluloid table tennis balls. Because of the somewhat larger dimensions, plastic balls are a bit slower since they exhibit a larger air resistance. This is true for easy counters without or with only slight ball rotation. However, when serving the balls with spin, the amount of topspin was very decreasing when arriving at the opponent. This causes the ball to "fall off" to a clearly lesser extent, induced by the reduced rotation. Consequently, the trajectory of the ball is straighter which facilitates the blocking after the ball had its first contact to the table. The slower overall flight characteristics of the ball additionally provide more time for the opponent to find margins and possibilities. At the same time, the typical topspin attacker cannot serve her/his balls as fast as he might have been used to. Also, rolling serves can be received easier due to the lesser rotation acceptance of the ball. Short balls (whilst being served as backspin balls) are easier to be flipped because a high amount of rotation cannot be transferred as good toward a new plastic ball as it was the case using the old celluloid balls. In contrast, long and fast backspin balls are becoming more dangerous: Although plastic balls are quite large, the rotation when playing backspin balls slows down the ball to a lesser extent. Consequently, balls are getting pretty fast which makes is easier to exert pressure towards your opponent. If the new plastic balls are served with sidespin, they´ll fly straighter than the old celluloid balls (although they still exhibit a certain amount of rotation). This causes the plastic balls to be somewhat unpredictable after contacting the table or bat. Following a side-backspin, one cannot exert much pressure, so that such returns are quite harmless. Note that this allows the opponent to induce good counters! Considering the side-topspin, the topspin component is missing to a greater extent which makes an easy blocking clearly harder and more difficult. This increases the likelihood that sidespin counters cannot be made in a forceful manner: Pressure is missing, facilitating attacks coming from your opponent. To summarize, we would like to add that, of course, there are certain differences between the new plastic balls and the old celluloid balls. However, the main question should be whether or not you really notice these differences. In this regard, the gaming experience and the gaming level are probably playing decisive roles. If there are perceivable differences, then these can be beneficial for some players, and adverse for others. Pros and cons are likely to be quite balanced. One thing is certain: Early training and getting used to the new plastic balls is highly recommended since the end of the old celluloid balls is already there. 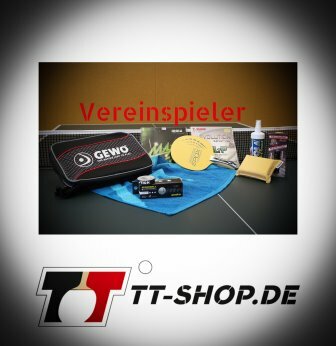 At TT-SHOP.COM you can find quite a large offer regarding different table tennis plastic balls: No matter if for test purposes or in bulk/large packs for clubs. Plastic balls are available in different qualities, also known as 3 star system. Learn more about this in the following sections. Table tennis balls differ not only because of the different manufacturers, but also because of different quality levels. For tournaments and competitions, of course, high-quality balls are used in order to fulfill the enormous stresses and loads. What types of loads these are, and what quality levels there are we will also show you in this article. Does it make sense to develop table tennis balls with different requirements in terms of quality? Let´s first start with some facts what a ball has to withstand. As already mentioned, the weight of a table tennis ball is only 2.7 g. From one moment to another the balls can be incredibly accelerated. For example, hard shots accelerate the ball up to a speed of 180 km/h in a very, very short time. If we would experience such an acceleration in our car, we would be in serious trouble! Table tennis balls are hit very hard, causing them to be deformed. Considering backspin or topspin strokes, balls can rotate up to 150 times per second. All this hour for hour, day by day, and so on. It becomes quite evident that the quality requirements of table tennis balls must be quite high. This is especially true for tournaments and competitions! On the other hand, there are scenarios where the balls do not experience such extreme loads, such as training sessions for kids or beginners. Often, these sessions are executed even without any bat (or the table), and other exercises (e.g. regarding the coordination skills) are performed. This means, the table tennis specific component is lacking, and requirements regarding the balls are not as high as compared to a table tennis specific training (or even competition) with advanced or professional players. Note that balls licensed for competitions are more expensive than training balls. For these reasons, there are 4 quality levels of balls. Keep reading for further information! Even prior to considering the 3-star-system, there are the so called table tennis training balls. They exhibit the lowest quality and can, hence, be quite different from each other (within differences). Often, discarded balls for competitions (who depart too much from their specified set point regarding mass, roundness, ...) are used as training balls. Especially, among the former celluloid balls there were many inferior (substandard) products which were even not appropriate as training balls. The so called 1 and 2 star balls are commonly of a better quality than the training balls. Regarding their mechanical characteristics (e.g. mass, roundness, hardness, surface structure, diameter, ...), they are more uniform exhibiting quite constant flight and jump properties. Also, they withstand more stresses and loads. However, they are not ITTF (International Table Tennis Federation) permitted for a use in official competitions. As already mentioned, there are some "rotten apples" among training balls. Therefore, sometimes 1 and 2 star balls are also used as training balls. 3 star balls provide the highest quality level among all table tennis balls. Such balls are produced under even stricter criteria with respect to their mechanical properties. This results in a very constant flight and jump behavior. After all, competitions aim to identify the best player, and not who is having the best ball. The 3 star balls are mandatory for official competitions and tournaments: You must use those balls! One important characteristic of 3 star balls is the logo (3 stars) from the ITTF or DTTB (German Table Tennis Association). You should check for this logo when aiming to order 3 star table tennis balls. Far away from the world of balls for official competitions or regular training, there is another category of balls. These balls are suitable for hobby and recreational players, but also for people who just want to try something different, open-air so to speak. Yes, you are right...we are talking about outdoor balls, perfect for the warm season! Table tennis enjoys more and more popularity, and many find this sport to be perfect for several reasons: Intensive training sessions, thrilling competitions, or fun with friends during your leisure. Especially in summer, playing indoor table tennis is not always fun. So why not playing outdoors? Regarding table tennis balls, this is not a problem, provided of course you are using the right balls - outdoor table tennis balls! Outdoor table tennis plus with nice weather - no matter if you prefer an intensive, hard training, or fun with your friends. This sounds great, doesn´t it? But what happens if the weather changes and there is some wind coming up? Or the ball hits the ground and is getting dirty? For such instances, there is a solution (at least partially) - just use outdoor table tennis balls. 6.1 Outdoor table tennis balls - Small differences, large effects! What is the difference between outdoor and indoor table tennis balls? First, the mass. To account for some wind, outdoor balls are approx. 30-40% heavier than indoor balls. This leads to a more stable flight behavior, even when there is some wind. The diameter of outdoor table tennis balls is 40 mm. Note that such outdoor TT balls are very suitable and appropriate for training sessions. For official competitions, however, they are not allowed (only the new plastic balls!). Next to outdoor TT balls, there are also outdoor table tennis tables! Those exhibit different surface properties, making them more resistant to UV radiation (coming from the sunlight) and more weather-resistant (with respect to rain, dirt, etc.) as compared to indoor tables. However, the modified surface properties also affect gaming properties. Balls behave differently after bouncing off from an indoor versus an outdoor table. This is very important considering tournaments. Nevertheless: Outdoor balls and outdoor tables are a welcome change and make lots of fun! In this article, we got to know that the early stages of the plastics industry go back to the Stone Age. Celluloid, as one representative of plastics, is the material the old table tennis balls are made of, and celluloid was developed in the 19th century. Nowadays, because of its hazard potential, celluloid table tennis balls are replaced by the new plastic table tennis balls. These new plastic TT balls and the old celluloid TT balls exhibit some differences. Hence, it is recommended to start including the new plastic balls into your training at early stages. Plastic balls also exhibit different quality levels. Still, all levels make sense when using them according to their area of application (training vs. competition). We hope having provided you some information, and also to have awaken some interest regarding the new plastic balls.